Argentina’s men and Great Britain’s women enjoyed triumphant runs to the finals of their respective hockey tournaments at Rio 2016 to win their first ever Olympic titles. Argentina won their first ever Olympic hockey medal at Rio 2016 by overcoming Belgium 4-2 in the men’s final, to provide their gutsy campaign with a golden climax. Though beaten 2-1 by India in their third game in Group A, the Argentinians clinched third place in their pool after recording high-scoring draws with the Netherlands and two-time reigning champions Germany and picking up hard-fought wins over Canada and Ireland. After overcoming Spain 2-1 in the quarter-finals, they then scored a stunning 5-2 defeat of the Germans to move into the final. 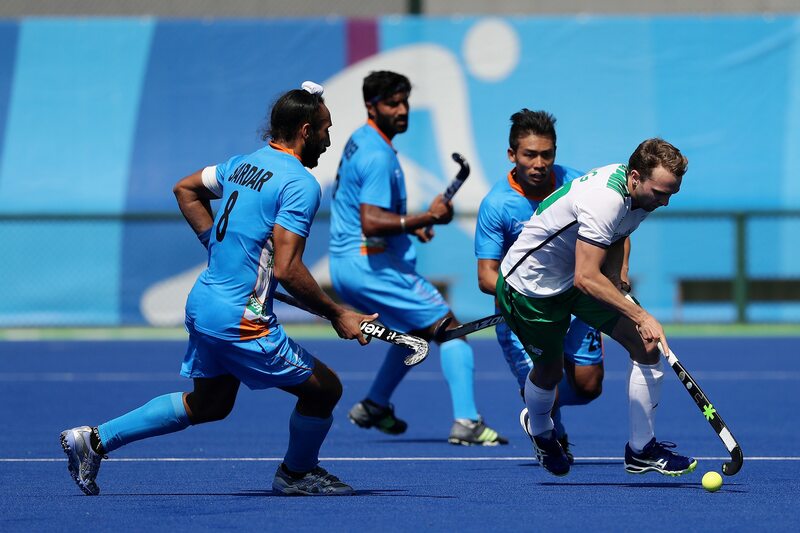 A rising force in world hockey, Belgium also reached their first Olympic final after topping Group A, where they posted four wins and suffered an inconsequential defeat to New Zealand, and then beating India and the Dutch by the same 3-1 scoreline. The Belgians made a fast start to the gold medal match, with Tanguy Cosyns flicking them into the lead inside two minutes. The Argentinians hit back with goals from Pedro Ibarra and Ignacio Ortiz, with a third strike from Gonzalo Peillat giving them a comfortable half-time lead. Though the men in red pulled a goal back through Gauthier Boccard, their decision to swap their goalkeeper for an extra outfield player late on did not pay off, with Augustin Mazzilli able to walk the ball into an untended net to complete the scoring. Curiously, the victorious Argentina side featured the grandson of legendary Belgian cyclist Eddy Merckx, Luca Masso, who is in turn the son of former Argentinian tennis player Eduardo Masso. His gold gave the Merckx family another medal to go with the bronze won by Eddy’s son Axel in the road race at Athens 2004. The 22-year-old forward bears a strong physical resemblance to his grandfather, who famously won the Tour de France five times, but who never graced the podium at the Olympics, his best finish being 12th at Tokyo 1964. Great Britain’s women also won their first Olympic hockey gold, edging out defending champions the Netherlands in the final, as fellow European heavyweights Germany claimed the bronze. The British made their intentions clear from the start of the competition, winning all five of their games in Group B, before seeing off Spain 3-1 and consigning New Zealand to the bronze medal match with a 3-0 win. Beaten by Germany in the Athens 2004 final and victorious against China and Argentina at Beijing 2008 and London 2012 respectively, the much-fancied Dutch also topped their section, registering four wins and a draw in their five games. A 3-2 quarter-final win over the Argentinians followed in the quarter-finals, before a 4-3 shootout defeat of the Germans in the semis, this after the two sides had drawn 1-1 in normal time. The gold medal match proved to be the game of the tournament, with the British, who had never advanced so far in an Olympic competition before, taking a first-quarter lead through Lily Owsley. Kitty van Male pulled the Oranje level at the start of the second, and before it was over captain Maartje Paumen had given them the lead. The British, bronze medallists at Barcelona 1992 and London 2012, equalised through Crista Cullen, only for Laurien Leurink to put the holders back in front from a penalty corner. There was still time for a second British comeback, however, with Nicola White levelling late on to send the game to a shootout, where Maddie Hinch saved all four Dutch penalty attempts to complete a stunning triumph for the first-time finalists. Before the final, Germany beat New Zealand 2-1 to seal the bronze. Despite firing 16 shots on goal to their opponents’ five, the Black Sticks lacked precision in the shooting circle. Charlotte Stapenhorst opened the scoring for the Europeans in the third quarter, and Lisa Schutze doubled their lead courtesy of some superb stick work four minutes later.